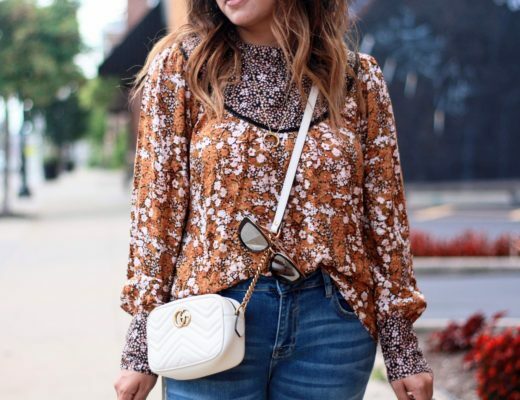 I promised I'd slowly start incorporating fall looks on the blog, so this is my attempt while it's still 80-90* out! I wore this to an event with my Thread babes last week (more on that next week) and I love this skirt. The deeper tones make it great to transition between seasons. I styled this back in February with more light tones and this time I wanted to add in some darker hues. 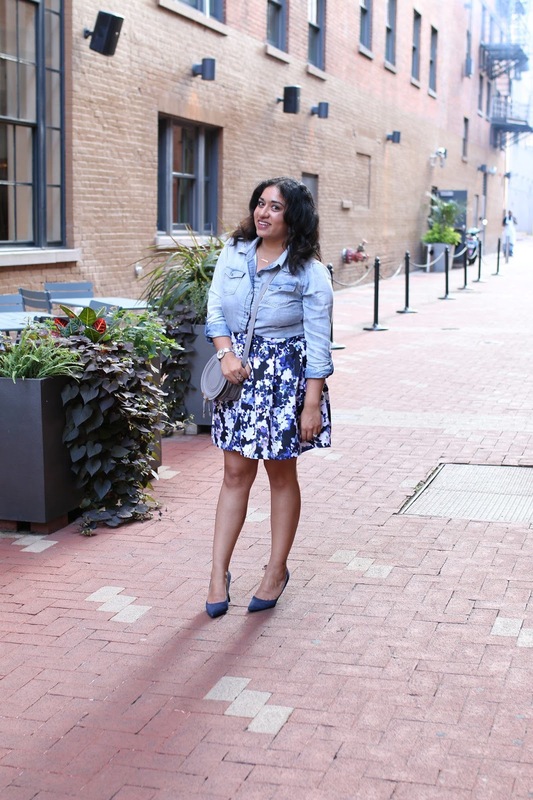 I love a good chambray shirt as a fall staple to mix and match with different bottoms. Yessss ma'am, this is gorgeous! Love it head to toe! isn't it so cute?! it's really old but i tried to find similar ones for you!! It's so hard to transition to fall with such hot weather!!! You look adorable in this look – I love that skirt and those shoes are so fabulous! Love the skirt! Cute look! 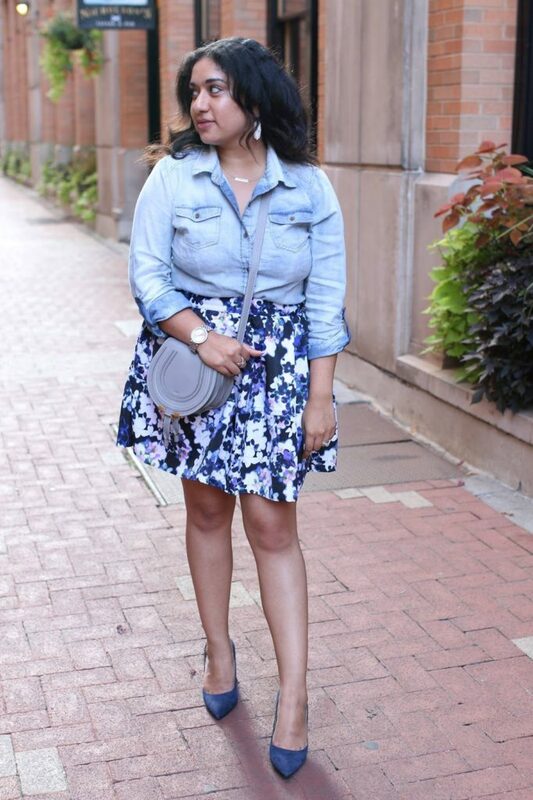 I love this floral skirt! I have a daisy print skirt but is now looking to add a different type of floral print. Love the colors in this outfit, too!